A small project that aims to provide a simple, fun, player vs player game mode for multiplayer. 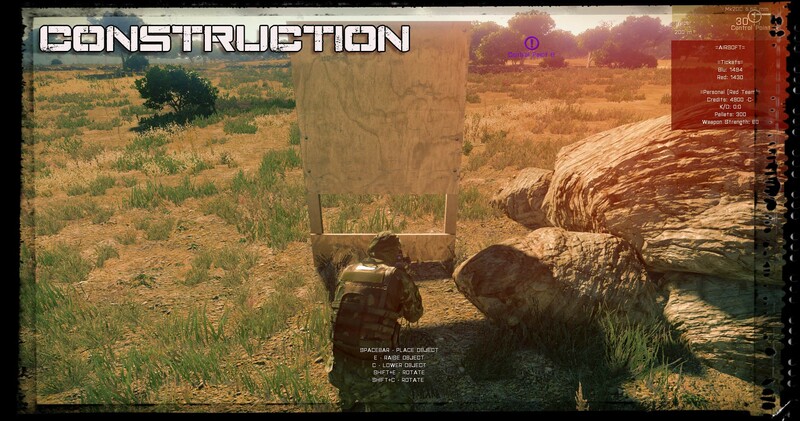 Players can jump in and easily recognize the objective, familiar to classic base-capturing game modes. The mission is similar Battlefield's Conquest game mode in which players from two teams fight to capture objectives and deplete their opponent's tickets for victory. The twist is that the default weapon ballistics are replaced in favor of more weighted projectiles to emulate airsoft pellets; heavier and slower. 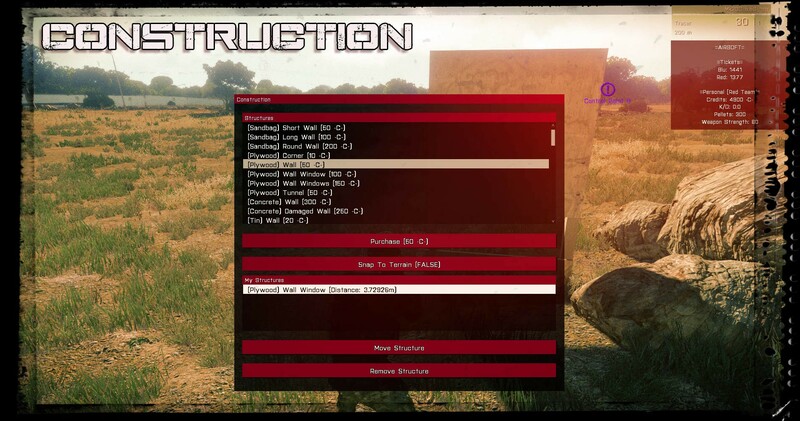 The mission is addon-free, requiring no overhead for servers to host the mission. The area-of-operation is a closed-off forested area with lots of vegetation for concealment and cover. 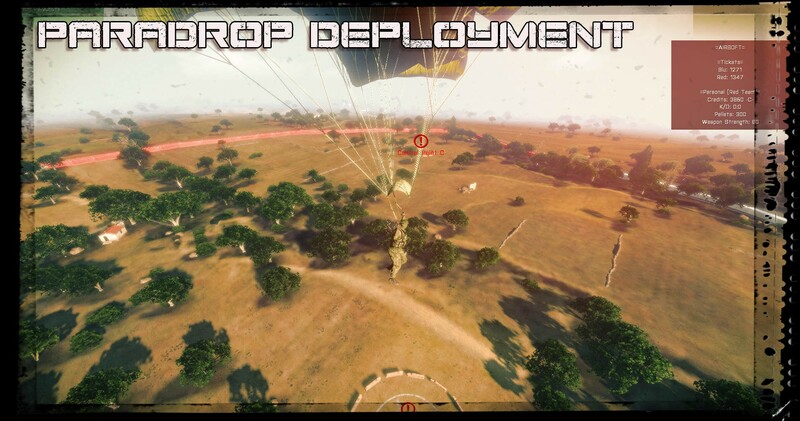 Features from I and Doc Reaper's discontinued multiplayer game mode, "Hostage Rescue" have been utilized in this mission. 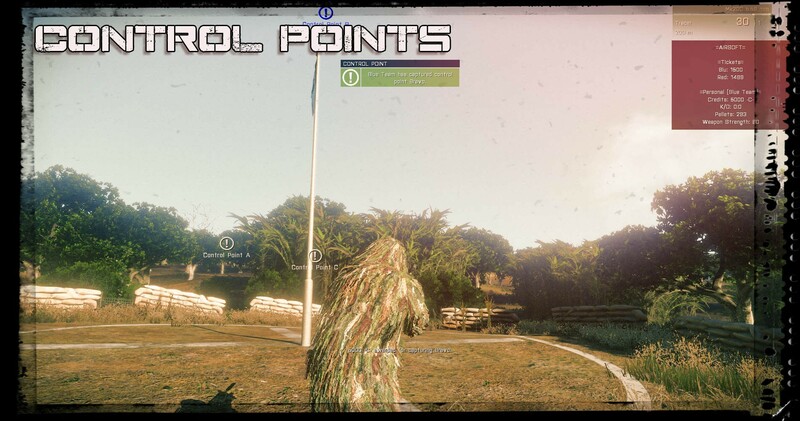 Features such as pointing at locations or people, player tags for your teammates to see their location on-screen, as well as other functions. 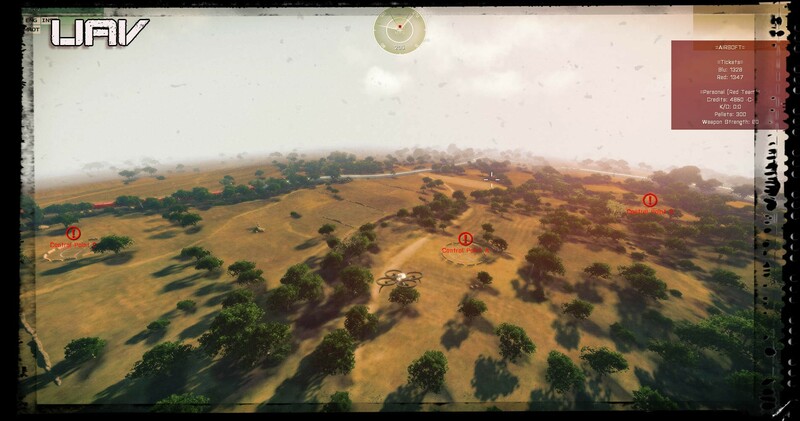 A currency system is in-place to reward skilled players, allowing them to purchase more pellets, different outfits, ATVs, Quadcopter UAVs, and fortifications (for base building). In fear of certain players becoming overly-wealthy in credits and the rest of their team lacking credits, players are presented an option to distribute their overall wealth to the rest of their team, dividing evenly among everyone. This wealth distribution options encourages teamwork by allowing skilled players to help their team purchase upgrades and additional gear. Developed in under a week.